Unique Programs, Patterns & Techniques designed by Dr Silvia Hartmann, one of the greatest original thinkers, researchers and visionary geniuses of our time, based on DECADES of laborious, pain staking research and ENDLESS testing on REAL people to make sure these new techniques are SAFE, HELPFUL and VALUABLE. 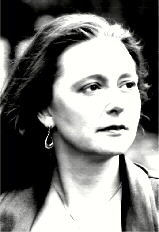 Inspirational, Hard Hitting, Concise, Ruthlessly Practical - here are the Brass Tacks of Energy Magic, Emotional Control, Creativity, Intelligence Enhancement and Reality Creation from the United Kingdom's premier researcher on true human potential, Dr Silvia Hartmann, in ELECTRONIC BOOK format for instant download. Electronic Books have the advantage of transmitting ALL THE INFORMATION at half the price. There is no waiting, there are no postal charges. We further offer FREE UPDATES to the customers who have purchased ELECTRONIC BOOKS - so you are never stuck with an outdated edition. Should you lose your E-Book, we will gladly send you a replacement entirely FREE OF CHARGE. E-Manuals can be stored on any device and are of course, fully searchable for a single word or a phrase, with "point and click" indices, making this information format perfect for having a complete library at your fingertips and giving you the ability to print out the most relevant sections only. ONE elegant system of 23 Genius Symbols. 6th Enlarged Edition, Full A-Z Instructions On Using EFT. From Self Help to Professional Use, this one manual will save you $$$s in medications and therapy! Easy to use, information packed and highly acclaimed, this is how to do EFT easily for GREAT results. Get THE MOST from EFT, Get Adventures In EFT! GO! The World's Most Comprehensive Manual On Advanced EFT. Get ahead in Emotional Freedom Techniques with this extraordinary training manual which contains literally hundreds of highly advanced patterns for using EFT - including many secret variations on the original pattern, directly modelled from Master users. *This manual contains the dynamite "Guiding Stars" pattern GO! The Most EXTRAORDINARY Creativity Machine EVER Invented! This unbelievable manual represents a breakthrough in conscious/unconscious communication - if you have EVER wanted to get to know yourself better or to access YOUR own inner resources, you need this book! Way, way beyond DHE or ANY OTHER currently available form of personal development, this is a book that EVERY HUMAN should read. Go! Do you still think "Energy Work" is for ladies who want to dabble in healing? Think again. The greatest Martial Arts Masters, the toughest guys of all times knew about energy and USED IT. EmoTrance IS Energy Work made real, made here and NOW - no delusions, no chit chat, just POWERFUL usage of what is really here, finally explained in simple terms, for total emotional control, raising power when required and much, much more besides. Powerful and groundbreaking stuff from the World's No. 1 "Energy Magician" - and so easy that a child can learn the basics in under half an hour! GO! The Most Inspirational WEALTH CREATING Manual EVER! MindMillion is a whole different story altogether - you've never read or experienced a book on reality creation like this. Based on a five year research project, this book contains the REMEDIES FOR POVERTY and self sabotage - and they WORK! Breakthrough inspiration, hypnotic guidance and power exercises - MindMillion is designed to help YOU CHANGE YOUR STARS! Go! 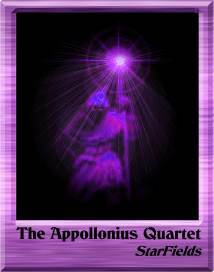 ... with the powerful Energy Hypnosis program known as The Appollonius Quartet. This is an intensive self study programme which comes complete with four energy hypnosis sessions plus a study guide with extra background information, instructions and the complete scripts. Work with the Appollonius Inductions for a month - and you will get REAL results and improvements in all YOUR FAVOURITE psychic activities and skills Go!